Thank you for downloading the Birmingham Cross-City South v1.31 route, which has been updated for openBVE v1.2, and orignally designed for BVE v4.2 and v2.6. The Birmingham Cross-City South route for BVE recreates the busy commuter line between Redditch and Birmingham New Street. The route was first released in May 2002 and was a hit with the BVE community due to it's realistic graphics, catenary, sound effects, variety of route variations, and the care with which the package was created. 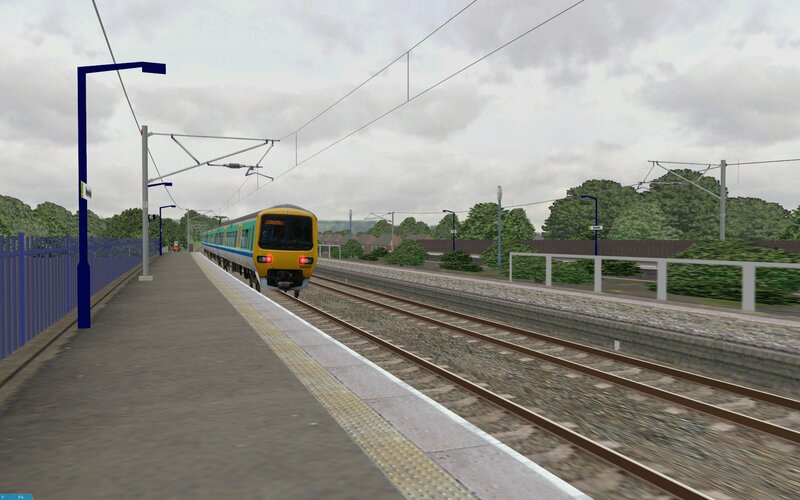 The route was significantly updated to v1.2 a year later in May 2003 to take advantage of the then new BVE v2.5's new capabilities, and the update added a host of new features including fully authentic Cross-City and class 323 sounds, updated trackwork, a new and advanced catenary system and increased use of photo-based textures. For information or help with any aspect of the route, or the Class 323 EMU used by the Cross-City, please read the documentation included with the download; there you will find sections explaining the detail levels used by the route, file naming conventions, advice on how best to drive the class 323, how to use different trains with the route, as well as a full feature list, version history and known issues list. You can also read the Driver's Guide for BVE and Class 323 / Cross-City South Tutorials for either openBVE or BVE 4, or e-mail me using the Contact page. If you need help downloading and installing openBVE, BVE Trainsim, or this add-on, then please read either the openBVE Help Guide or BVE 4 Help Guide. Please remember that this route was designed for BVE Trainsim version 4, and the only updates it has received, mainly involved addressing issues so that it could run error-free with openBVE. Apart from the class 323's 3D cab, the route's 3D objects and textures have not updated to take advantage of openBVE's capabilities. Please see the new Birmingham Cross-City South version 2.0 section of the site, for information about the upcoming, true designed-for-openBVE version of this route. Important note: If you are an existing Cross-City South user, please delete the existing Birmingham Cross-City South folders in your 'Railway\Route\' folder, before installing Cross-City South v1.31.11! If you don't, you might end up with four Cross-City South route folders rather than three, and you might not be sure which is the right folder to use. In the openBVE route files, replaced all AWS and TPWS related .Beacon and .Freeobj commands with new variants, which fully support the realistic AWS and TPWS simulation features of the UkTrainSys cross-platform plugin (which itself is now compatible with diesel as well as electric trains). Users who wish to drive trains equipped with Simon Gathercole's range of UKxxx.dll plugins for BVE 4, should use the Cross-City South route files intended for BVE 4 instead. Also added extra AI Support beacons, and stopped the outdated practice of using null objects with beacons, and instead, using a BeaconStructureIndex value of -1. Added previously missing .Limit commands to the Temporary Speed Restrictions (TSRs) in the openBVE night routes. Edited incorrect values assigned via a couple of .Background().X commands, which caused backdrop tiling issues, also in the night route intended for use with openBVE. Adjusted track .Accuracy values to take better advantage of openBVE v1.2.7.0's new inaccuracy model. Missing repetition count for Background(0) in night routes. Main download now incorporates previously separate class 158 and 37 route pack. For earlier changes, please see the documentation included in the route download.